Family oriented business seeking motivated individual. Come work with the best a company that truly values their employees and uniqueness in every one of our drivers. 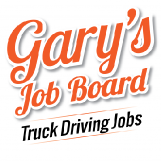 Immediate opening for self-motivated company or 1099 drivers. We offer OTR/Regional positions with the flexibility of being able to pick when and where you take your home time/regional home every weekend. Plenty of freight we will keep you moving. Please describe the job in detail Family oriented business seeking motivated individual. Come work with the best a company that truly values their employees and uniqueness in every one of our drivers. Immediate opening for self-motivated company or 1099 drivers. We offer OTR/Regional positions with the flexibility of being able to pick when and where you take your home time/regional home every weekend. Plenty of freight we will keep you moving.